Count Leo Tolstoy (August 28 (September 9) 1828 - 7 (20) November 1910) - one of the most widely known Russian writers and thinkers around the world. Participant of the defense of Sevastopol. Enlightener, publicist, religious thinker, authoritative opinion, which provoked the emergence of a new religious and moral trend - Tolstoyism. 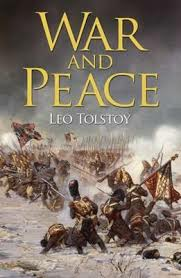 Tolstoy’s epic depicts Russia’s war with Napoleon and its effects on the lives of those caught up in the conflict. In this book, he creates some of the most vital and involving characters in literature as he follows the rise and fall of families in St Petersburg and Moscow who are linked by their personal and political relationships.